The Brightalk folks organised another set of super Wednesday webinars. The subject that caught my eye was entitled “The new normal for IT Management” and was presented by Forrester analyst Eveline Oehrlich. Here is the LINK but please note that you may have to register in order to view the webinar. The Business is bypassing IT and building their own Shadow IT capabilities. Shadow IT is the BYOD [Bring Your Own Device], on demand software applications and customised services that sit outside the control of the traditional IT organization. This means that collaboration between the Business and internal / external service providers is critical to success. We are on a journey from IT to empowered Business Technology innovation. What is Empowered Business Technology? The empowered era has brought about a paradigm shift for IT organizations. Employees and customers are no longer relying on IT to provision and manage technology. They are using social, mobile, cloud, and video technologies to bypass IT. Forrester believes that these changes bring a unique opportunity for CIOs to step up and transform their IT organizations into influential and critical business partners. The voyage will not be easy for many CIOs, and it will require a completely different mindset, organizational competency, governance model, and sourcing strategy. Forrester sees three forces reshaping IT by 2020: the explosion of business-ready, self-service technologies; the growing influence of a tech-savvy, self-sufficient workforce; and a radically new business market shaped by emerging economies that will soon dwarf the established ones. These may not sound like IT concerns, but they will profoundly affect how IT is viewed. In the past, when new waves of technology swept into our businesses-beginning with PCs in the 1980s and continuing to today’s self-service technologies-the reaction has been a pendulum swinging between centralized, industrialized IT and decentralized, embedded IT. Businesses must move to a model we call Empowered Business Technology (BT), which embeds enabling technology innovation into the business while providing just enough centralized coordination and oversight to meet enterprise wide goals and control costs. Empowered BT lets businesses pursue opportunities with grassroots solutions while still balancing enterprise concerns. Sustainability experts, who ensure solutions are scalable and sustainable in the enterprise. These roles are combined with a new operating model based on guidelines, mentoring and inspection. Each business organization will fill these roles in their unique way. First, work with your business colleagues to determine how radical a change your company envisions so you know what priority to place on transforming IT. Then work with the innovators in your company to craft a firm-specific vision and begin working toward it. To do this right, IT needs to embrace business ownership of technology decisions. As CIO, you should be poised to help your company profit from the massive change that’s afoot in the business climate. Alex Cullen and James Staten are vice presidents at Forrester Research. CIOs have successfully implemented any one or more of a wide range of frameworks, methodologies, and practices such as ITIL, COBIT, ISO 17799, CMM, PRINCE, MSP, PMBOK, Balanced Scorecard, and Six Sigma. Yet despite all of these frameworks to run IT (or in some cases perhaps because of them), business units within our organizations continue to feel that IT cannot respond fast enough to needs of the business. The successful CIO in the age of the customer will possess equal measures of business competency and technical understanding; will be a skilled communicator and a passionate leader, equally comfortable meeting customers and executives; and will be obsessed about customers. For tomorrow’s CIOs, an MBA will provide a stronger educational foundation than a degree in computer sciences. And not all of today’s IT employees will feel comfortable moving toward empowered BT. Some roles, like business relationship managers, will evolve into more pivotal roles for IT’s success, while others, such as application development and operations have already started moving out of IT. While IT will still develop applications within an empowered BT environment, and operations will still maintain server farms and networks, more and more of these roles will shift toward vendor-provided solutions and services. So what is my take on the journey from IT to Empowered Business Technology. If you look back to any Investment Banking Trading Floor a few years ago you will have found a myriad of very high specification personal computer hardware sitting under peoples desks. These configurations allowed the analyst to have full access and control of their custom applications and data. About 5 years ago Hedge Funds needed more raw compute power for their Algo / Quants Trading so the Business would order in more blade servers and storage required to gain a competetive edge. The IT folks would only find out about the new kit when it arrived on-site. These are but two examples of old school “Shadow IT”. I definitely agree that the Business Relationship Manager or Business Partner role is a pivotal one. The role is described in the ITIL 2011 Edition Service Strategy Core Volume. 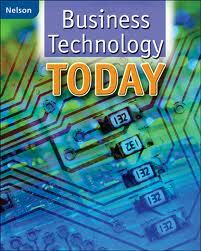 Going forward all IT organisations will need the BRM to sit at the intersection between Business and Technology. This means that the BRM must be involved in Investment decisions and the prioritisation of Business projects. Please note that there is no such thing as an IT project there are Business projects with Technology components. The immediate challenge we face in making the journey from IT to empowered business technology is to define, agree and implement just enough centralised co-ordination and governance oversight. I recommend that you look to COBIT5 for guidance on how to define Enterprise and IT related goals in order to stay relevant. Link to the Reference Guide. Finally let’s hear what Forrester has to say about the age of the customer and the need to focus on customer facing processes / customer data.